In today’s Gospel (Luke 1:26-28) Don Gueranger brings out the importance of Angel Gabriel’s greeting. 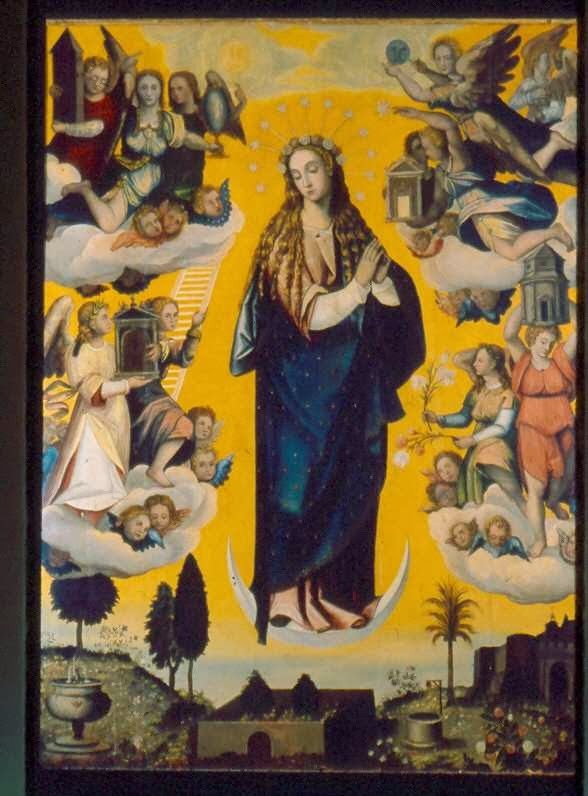 “The Archangel (Gabriel) proclaims her full of grace. What means this, but that the second woman (Mary) possesses in her that element of which sin had deprived the first (Eve)? And observe, he does not say merely that divine grace works in her, but that she is full of it. ‘She is not merely in grace as others are, ’Saint Peter Chrysologus told us in his feast, ‘but she is filled with it.’ Everything in her is resplendent with heavenly purity, and sin has never cast its shadow on her beauty. To appreciate the full import of Gabriel’s expression, we must consider what is the force of the words, in the language which the sacred the historian used. Grammarians tell us that the single word which he employs is much more comprehensive than our expression ‘full of grace.’ It implies not only the present time, but the past as well, an incorporation of grace from the very commencement, the full and complete affirmation of grace, the total permanence of grace. Our translation has unavoidably weakened the term. “The better to feel the full force of our translation, let us compare this with an analogous text from the Gospel of St. John. This evangelist, speaking of the Humanity of the Incarnate Word, expresses all by saying that Jesus is full of grace and truth. (cf. Jn. I:14) Now, would this fullness have been real, had sin ever been there, instead of grace, even for a single instant? Could we call him full of grace, who had once stood in need of being cleansed? Undoubtedly, we must ever respectfully bear in mind the distance between the Humanity of the Incarnate Word and the person of Mary, from whose womb the Son of God assumed that Humanity; but the sacred text obliges us to confess, that the fullness of grace was, proportionately, in both Jesus and Mary.